You’ve probably seen Dana’s designs while scrolling around on Instagram or Tumblr, where she got her start back in 2013. “I got obsessed with everything there, followed all my style and fashion blogs, then I decided to do something of my own,” she says. Now, her work is featured on mood boards and Pintrest pages across the Internet. 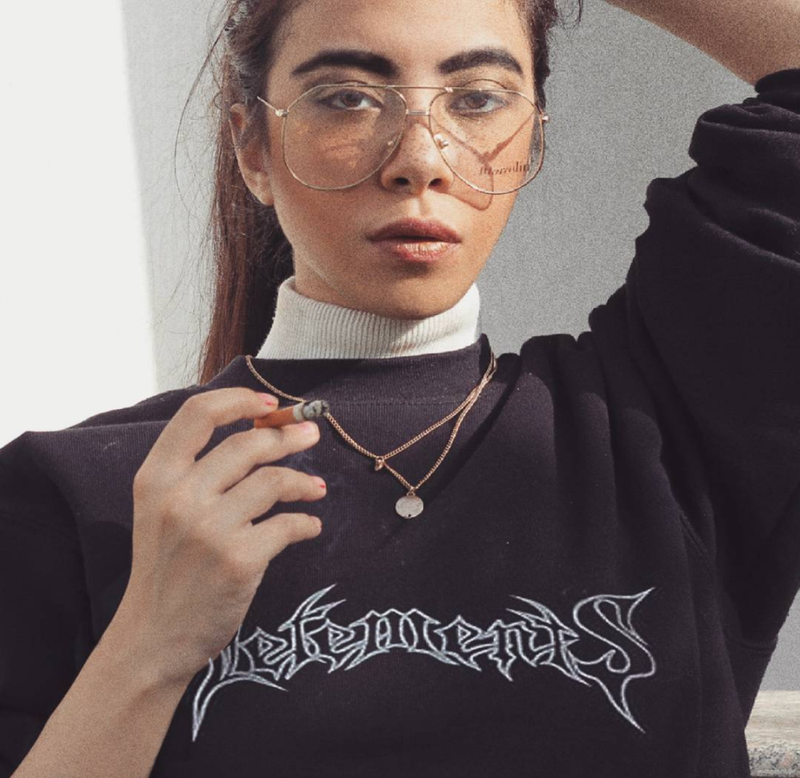 With the help of social media, the young Egyptian designer “accidentally” curated a distinctive style of work that’s resonated with an international audience. Describing her work as “art featuring clothes”, she’s amassed over 39,000 Instagram followers. Initially running her entire business from her home in East-Cairo as a student, but she admits “it was very tough”. Egypt is leaps and bounds away from the traditional fashion capitals of Milan or Paris. In a culture where the overt branding and beloved logo trend of the ‘90s is having a revival, the popularity of Dana’s work is a quirky commentary on fashion, and feels like a sign of the times. “l like catchy phases or slogans,” Dana says. Crediting her influences as Rick Owens, Riccardo Tisci, Helmut Lang, and Rihanna, the bold statements make all the more sense. “Mixing them with heavier imagery – that’s basically what inspires me.” she says. Her designs echo a love of R&B music and our obsession with luxury brands, as the elitist narrative of high fashion spawns an endless amount of rip-offs - perhaps today more than ever. The Global Brand Counterfeiting Report 2018, reports that the amount of total global counterfeiting has reached to 1.2 Trillion USD as of 2017. But building a brand through the far-reaching powers of social media also brings the possibility for knock-offs. 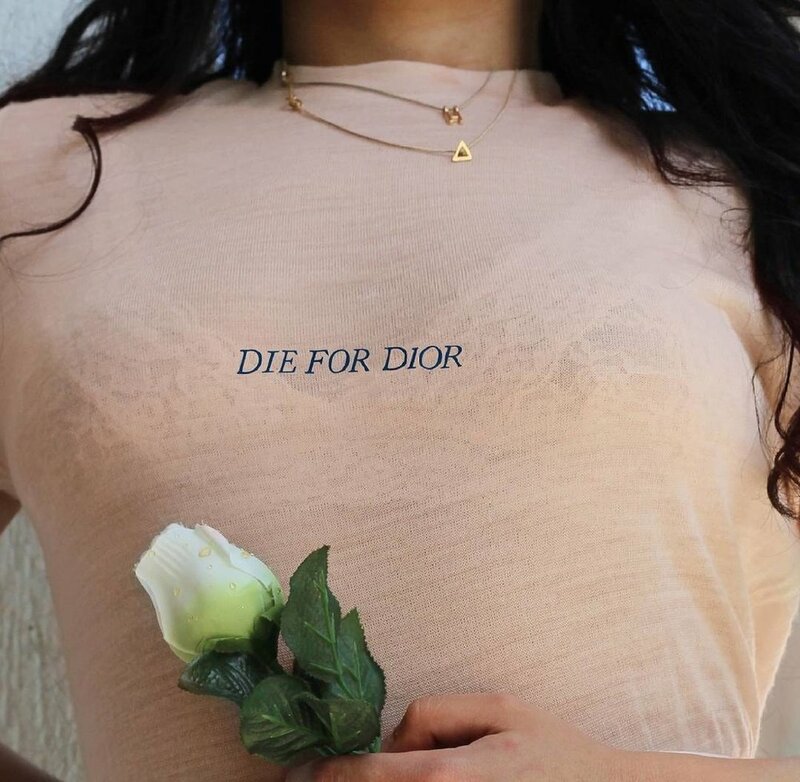 Dana’s tumblr-esque work has been floating around the Internet for a while, and has been the product of more than a few rip-offs, with some being sold on boutique sites like Verge Girl – without her permission. For Dana, it’s an unfortunate marker of success. “As with anything that is successful, people will start to replicate it. That's completely normal and will always happen - it cannot be stopped.” She says. 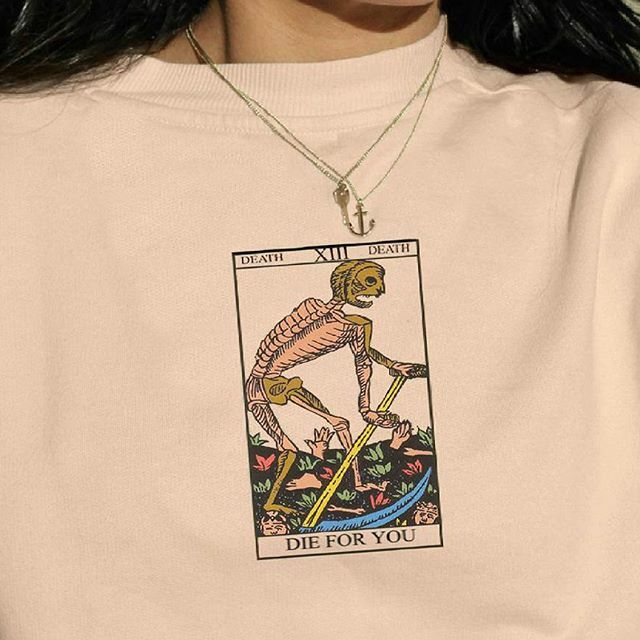 With plans to continue building her brand, her new line has phone cases and blouses, which feature tarot cards or black cats – and just in time for Halloween. Follow @DanaFrid on Instagram for more, and buy her designs on her website. And you can listen to our podcast “REPLICA”, where we discuss Dana and the difficulties of being ‘ripped-off’ here.